So you’re in New Jersey with your mobile sports betting app up and ready to go. You go to place a bet and get rejected, because you’ve “failed” the geolocation test. How did that happen, you wonder? Or, you’re a bar owner in the District of Columbia and you’ve contracted with an interactive gaming provider. Will your customers be able to place a bet on the sidewalk or in the courtyard outside your place or only inside? Both good questions concerning geolocation, a key consideration amid the ongoing discussion about and expansion of mobile and internet sports betting. Regulations in legal sports betting jurisdictions require sportsbooks to use the technology, and only accept wagers from those physically present in-state, or else licensees will run afoul of the law. Successful geotracking requires a combination of complex software and hardware designed to “fence” devices in or out of allowed usage areas. 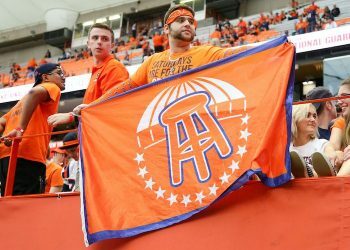 For example, in New Jersey, state-wide mobile sports betting is legal, so the state is essentially virtually “fenced” to allow users in the state to place sports bets. But not users who may have downloaded the software outside of New Jersey (or downloaded when inside and returned home outside). In Mississippi, where mobile sports betting is legal only on site at casinos, the same theory applies, but there’s a different kind of “fence” in play. As sports betting is legalized and launched in more and more states since the fall of PASPA last May, GeoComply has had to tailor its services to specific situations. There is no one-size-fits-all model. 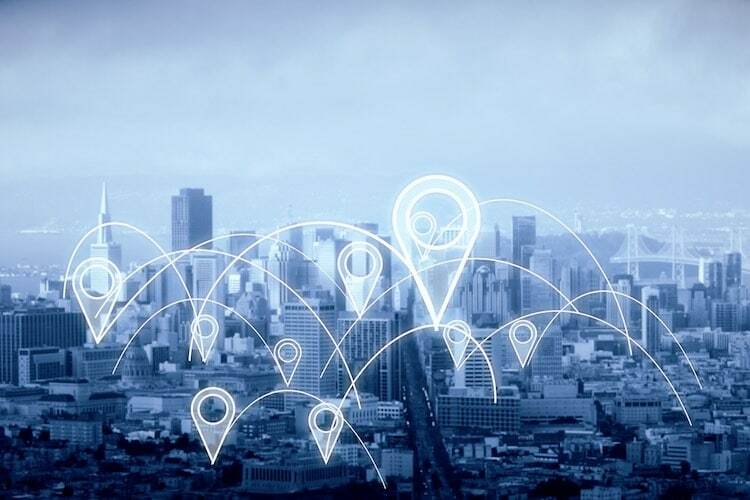 In a space as big as a state, geofencing is primarily accomplished by using existing software, like GPS, on smartphones, according to Lindsay Slader, Vice President of Regulatory Affairs for GeoComply. But if you’re in Washington, D.C., where it is legal to have an interactive sportsbook in your bar (but yet to be implemented), then hardware, such as Bluetooth receivers, may be used to keep consumers from placing bets via a specific app once outside the bar. 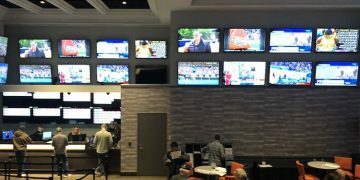 Besides Washington D.C., lawmakers in Montana, Arizona and Tennessee are considering legalizing interactive sports betting in smaller spaces like bars, restaurants, convenience stores and truck stops. Slader said that in a much larger space, like a state, geolocation methods built into smartphones, which can be accurate to within about 70 meters, can suffice. But in smaller spaces, more precise accuracy is needed. Slader is quick to point out that different venues will require different methods of geolocation, and in some cases, different combinations of software and hardware, but that all require constant monitoring. GeoComply is constantly “checking” locations on customers to ensure that they remain within the borders of where they are allowed to play, and that the hardware, in particular, can require hands-on maintenance. With regard to confirming a player’s location via smartphone technology, Slader said part of what her company does is make sure that users are where they say they are. Technology exists, and is easily available, to mask location, such as a “virtual private network” (VPN). Likewise, Slader explained that remote desk programs (think online meetings) can allow a consumer to “tunnel” into a location once the presenter gives other meeting attendees remote access to their computers, by, say, sharing on the screen. So, if a presenter in New Jersey held a meeting with a co-worker in California, that California co-worker’s location could be masked, and he or she could potentially place a sports bet as if they were in New Jersey as long as the remote access remained open. So, if you’re that person in New Jersey ready to place a bet, who “failed” the geolocation test, an open app that is masking your location could be why. An in-house study GeoComply did in New Jersey showed that 80 percent of the state’s sports betting traffic came from within 10 miles of the border and 44 percent within two miles. So, if geolocation isn’t accurate enough, operators might lose access to those customers. When it comes to maintaining geolocation services, GeoComply or any other vendor will have to be nimble and flexible. 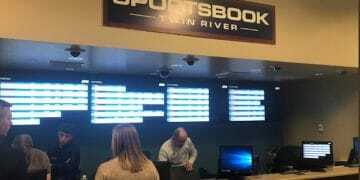 In Montana, sports betting won’t happen in casinos, but in smaller, often far-flung venues where hardware will have to be installed to prevent players from placing bets until they are inside a location with an interactive sportsbook. Slader said that could mean training route operators who service betting kiosks in how the technology works and how to repair it. Or, in some cases, installing multiple pieces of hardware — for example, two Bluetooth routers — at the same time, so if one fails, the backup can be activated. Lawmakers and stakeholders in many states have voiced concern about how geofencing will work in their specific locations. At least one lawmaker included a “buffer zone” in legislation to allow for his concern that geofencing might not stop right at the door. And at a Montana hearing in March, a potential stakeholder voiced concern at the cost and effectiveness of geofencing for a bar vs. a casino. Geofencing isn’t as specific as inches, but Slader said there are different levels of accuracy depending on how geolocating is being performed. The accuracy of cell towers can be measured in miles, smartphone technology in meters or yards and Bluetooth technology in feet.